Jensen Sondrall Persellin & Woods, P.A. takes pride in providing comprehensive legal services to our clients. The attorneys at Jensen Sondrall Persellin & Woods, P.A. have met the legal needs of individuals, businesses and the public entities for over 40 years under the firm names; Jensen & Sondrall, P.A. ; Jensen, Swanson & Sondrall, P.A. ; Jensen & Swanson, P.A. ; Jensen, Weyland & McCloskey, P.A. and Jensen & Weyland, P.A. We welcome the opportunity to help you with your legal needs and invite you to explore this website further for a complete description of the services offered at Jensen Sondrall Persellin & Woods, P.A. With offices conveniently located in the northwest Minneapolis / St. Paul suburb of Brooklyn Park, MN, Jensen Sondrall Persellin & Woods, P.A. provides legal representation for its clients throughout Minnesota and the upper Midwest. Our attorneys have met the legal needs of individuals, businesses and public entities for over thirty-five years and our firm is staffed to provide prompt, quality legal representation to our clients. A significant portion of our practice involves real estate related matters. Our representation includes assisting clients involved in the sale, purchase, development, leasing and financing of land and commercial property. We also know that purchasing and selling a personal residence involves the most important and emotional transaction in which our individual clients may be involved. Our clients receive the same prompt, courteous, professional service in their residential and recreational property transactions. Jensen Sondrall Persellin & Woods, P.A. also meets the needs of its clients in other areas with a concentration on estate planning, probate, family law and providing counsel to our small business clients, assisting them with the formation of their business organization, employment matters and their ongoing changing needs for legal services as their businesses grow and expand. Please visit our many different Practice Areas for a complete description of the services offered by Jensen Sondrall Persellin & Woods, P.A. Attorneys at Jensen Sondrall Persellin & Woods, P.A. have always been actively involved in our community, serving as board members and officers of a variety of community organizations, including Rotary Clubs, the Community College Foundation, the Chamber of Commerce, the YMCA, local Churches and City Task Forces. Please visit our Community Involvement page for a more comprehensive listing of our involvement. Accommodating the busy schedules of our clients is a priority and early morning, evening and weekend appointments are frequently scheduled for them. 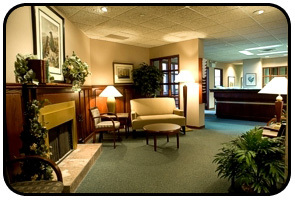 We have also learned from our clients that location and convenient access to our offices is important. The offices of Jensen Sondrall Persellin & Woods, P.A. are located less than fifteen minutes from downtown Minneapolis and St. Paul. Getting to our office will not involve one way streets, traffic jams or inconvenient and costly parking. Please visit our Directions page for directions. 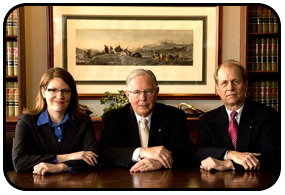 At Jensen Sondrall Persellin & Woods, P.A., we provide prompt, courteous professional service to our clients. Our attorneys are knowledgeable and experienced in applying the law to our clients personal and business needs. Building upon a long-standing relationship with our existing clients and our community, we will always seek to provide the personal working relationship clients expect from their attorney.